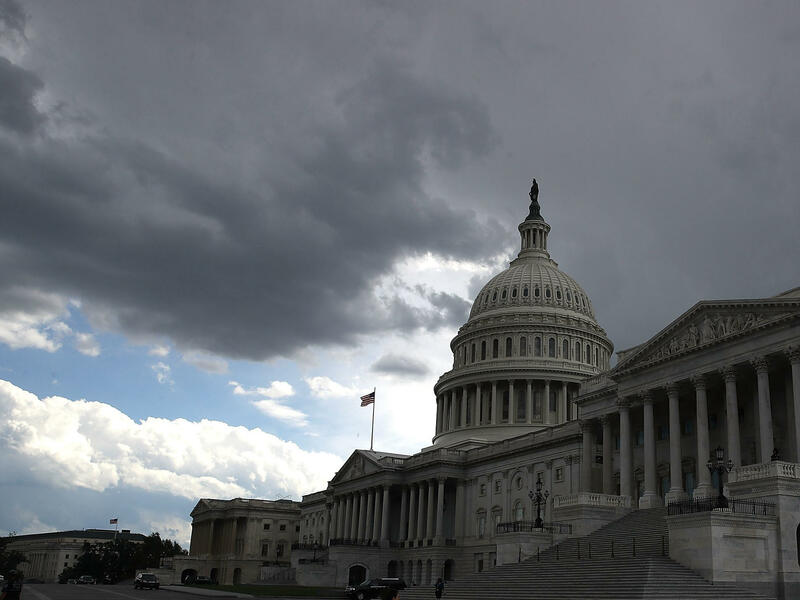 A political storm is brewing in Washington over the release of a much-discussed secret memo alleging abuses by the FBI and Justice Department. 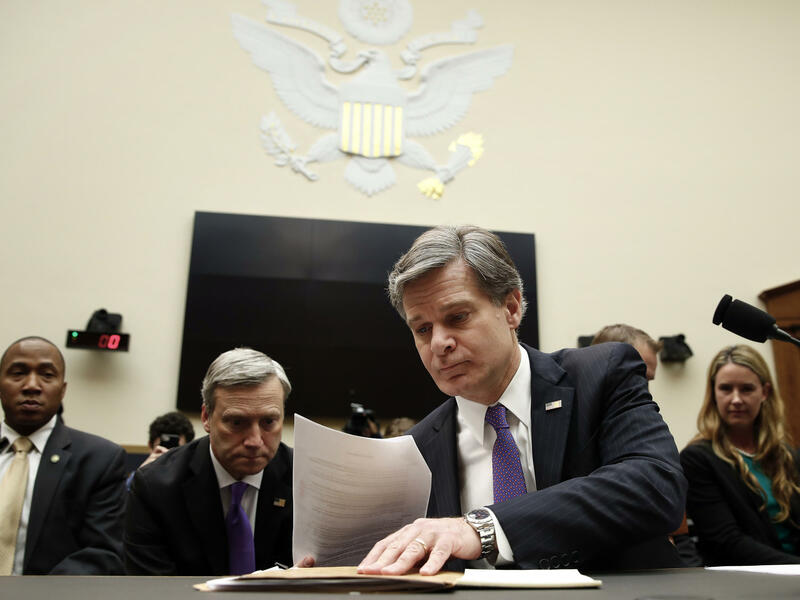 The FBI under Director Christopher Wray objects to the publication of a memo that accuses it of having abused its surveillance authorities. The latest political sandstorm in the Russia saga is over four pages of paper that have never seen the light of day. Here's what you need to know to make sense of what's going on with this story. It's a secret document prepared by the chairman of the House Intelligence Committee, Rep. Devin Nunes, R-Calif. No one knows precisely what it says – it's still classified – but it has been described as charging that the FBI and Justice Department abused their surveillance powers. We won't know for sure until it comes out. What we do know is that Republicans have been charging that the FBI and Justice Department are filled with people politically biased against President Trump. Republicans say that in 2016, when Trump was running for office, some of these conspirators went to the secret court that can authorize surveillance of Americans and duped it into letting them spy on people in Trump's campaign. They – again, according to Republicans – relied on material that came from the infamous, unverified dossier about Trump, which was partly underwritten by Democrats. So the FBI's whole Russia investigation, in this telling, originated with FBI agents and Justice Department lawyers who are anti-Trump Democrats. "It's clear that top officials used unverified information in a court document to fuel a counterintelligence investigation during an American political campaign," Nunes said on Wednesday. A whole lot was going on back in 2016. In addition to the Russia investigation, which began secretly in July of that year, the bureau also was investigating Hillary Clinton's use of a private email server while she was secretary of state. That's a whole separate controversy, and the Justice Department's inspector general is looking into it. The inspector general's report also might find fault with Andrew McCabe, the man who stepped down on Monday as the FBI's deputy director. It isn't clear yet what information it might contain about him, but he has been criticized since his wife ran for a seat in the Virginia state legislature as a Democrat. It's not against the rules for FBI agents to have or express political opinions. But the stories look bad and they've embarrassed the bureau, especially in the context of the other events from two years ago. The special agent who criticized Trump was removed from his job when those text messages were discovered. In the case of McCabe, FBI and Justice Department ethics officials apparently raised no objection at the time to his wife's political activity. 5. What does all this have to do with the memo? Republicans have based their case that the FBI is infested with "bias" in part on McCabe and these anti-Trump text messages. They also charge that people in the office of Justice Department special counsel Robert Mueller have a history of giving campaign contributions to Democrats, which Trump supporters say means they can't fairly investigate the president and his aides. Nunes' memo that accuses the feds of using scurrilous evidence from the dossier is another truss under this bridge. Yes. Attorney General Jeff Sessions; White House senior adviser Jared Kushner; Trump's son Donald Trump Jr.; campaign chairman Paul Manafort; and foreign policy advisers Carter Page, George Papadopoulos and Mike Flynn and others had contacts with Russians. Some of them received offers of dirt on Hillary Clinton or "off the record" meetings with Russian leaders that they discussed with other campaign officials. Everyone else swept up in the imbroglio, from Trump down, maintains there was no conspiracy with the Russian attack and that they've done nothing wrong. Attorneys for Manafort and his business partner Rick Gates, who have been indicted in the case, pointed out they aren't facing charges of conspiring with the Russians who attacked the election. The dossier – which NPR has not detailed because it remains unverified – made an explosive case about contacts between the Trump camp and Russians, but no one knows how reliable it is. Nunes argues it's completely unreliable. This also gets into one of the aspects of this story that isn't public. The FBI may have other evidence that suggests parts of the dossier are true, or other evidence, including electronic surveillance, that remains secret. The Justice Department says it didn't do anything wrong in dealing with the Foreign Intelligence Surveillance Court. The FBI said on Wednesday that the Nunes memo that underpins this narrative leaves out key details: "We have grave concerns about material omissions of fact that fundamentally impact the memo's accuracy," a statement said. The basis of Nunes' case may be that the FBI acted wrongly by not telling the FISA judge that some of the evidence it was presenting had been financed by Democrats. Under the "bias" storyline, he may argue the FBI and Justice deliberately withheld that to help their cause. There could be more detail about that in his memo. But this touches on some of the most secret business in the national security world. The attorneys and agencies involved with the FISA process never discuss it. So there probably won't be any kind of independent account that clears up this matter – or at least until whenever Mueller's investigation is over. 8. What about the "grave concerns" of the FBI? Is it a big deal for the bureau and Justice to publicly tell the president – whom they work for – they disagree with him? "People must understand what is at stake by release of the bogus, contrived Nunes memo," former Attorney General Eric Holder wrote. "It uses normally protected material and puts at risk our intel capabilities in order to derail a legitimate criminal investigation. This is unheard — of it is dangerous and it is irresponsible." Nunes, as critics like Holder say, is using a privileged position with access to government secrets – as House Intelligence Committee chairman – to throw rocks at the FBI and protect President Trump. Democrats pointed to what they called Nunes' silence when he was asked about whether he or his staff were working with the White House on all of this. 9. Did any of this affect the White House's support for releasing this memo? And when will the memo come out? No. So far the White House is sticking by its plan to release the document. White House chief of staff John Kelly told Fox News Radio on Wednesday that administration attorneys are reviewing the memo and that he wants it to get out "pretty quick." Kelly said Trump wants Americans to be able to see what's in the Nunes memo and then make up their minds about the story. But it wasn't clear as of Thursday morning when or how the file would actually get out. So far, none of this has anything to do with Mueller's ongoing investigation, which is taking place behind the scenes. The special counsel's office has brought two indictments against former Trump campaign aides and concluded two plea agreements, including with former national security adviser Mike Flynn. It's continuing to interview other witnesses and negotiate with the White House about a potential interview with Trump himself.